E.g. vs. I.e.–What’s the Difference? But why bother with all this Latin? Don’t we have enough abbreviations in English? Think about it. How would you feel if you got a text message that ended in SWAK? Many of the parents who took a quiz on texting acronyms weren’t sure what it meant. 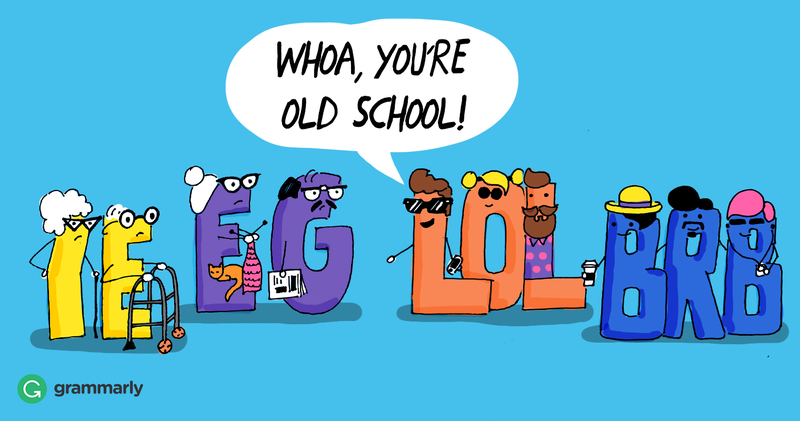 While some teenagers may laugh a little at the older generation’s inability to master texting lingo, the truth is that many of them would be hard-pressed to explain the difference between i.e. and e.g. Now you know the basics, but let’s get into the nitty-gritty of what everyone from student to professional writer needs to know about these meaningful letters. Once again, e.g. is short for exempli gratia, a Latin phrase that means “for the sake of example.” As you may guess, you use it to introduce one or more examples. Don’t worry about listing every possibility; e.g. is used to introduce a few examples, not a complete list. E.g. and i.e. are both lowercase when they show up in the middle of a sentence (i.e., like this). Most American style guides recommend a period after both letters in both abbreviations. In general, you add a comma after e.g. and between each subsequent example if there is more than one item in your list. If you want your examples or your narrowing-down set apart from the rest of the sentence, you can enclose e.g. and i.e., along with the examples associated with them, in parentheses. Even though exempli gratia and id est are both Latin (and therefore italicized), no need to put e.g. or i.e. in italics when they’re in abbreviated form. Abbrevs are all about keeping things quick and easy, after all. E.g. is used to give one or more possible examples. It’s a signal that you’re seeing one or a few of multiple possibilities. I.e, on the other hand, clarifies; you are providing more precise information. Where e.g. opens up more options, i.e. narrows them down. After work, I’ll walk over to that new sports arena, i.e., Thunderdome. After work, I’ll walk over to a sports arena, e.g., Thunderdome or Victory Court. In the first example, you are clarifying that Thunderdome is the exact arena that you will visit. In the second example, you will visit Thunderdome, Victory Court, or any other sports arena.